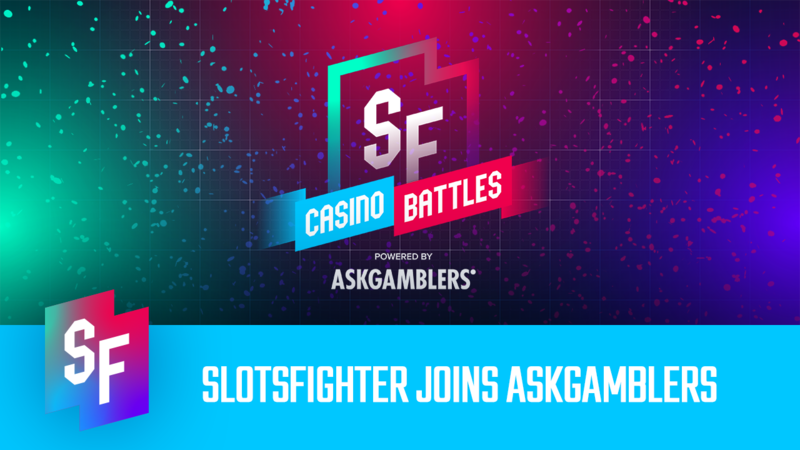 SlotsFighter Partners Up With AskGamblers! It’s a big announcement today! SlotsFighter and AskGamblers have partnered up together to provide exciting content for casino enthusiasts worldwide. AskGamblers is one of the world’s leading casino information sites, giving players an unbiased look at the top casinos around the Internet. SlotsFighter joins AskGamblers to provide users with exciting video content & a top-quality live stream on Twitch. What does this mean for SlotsFighter and AskGamblers? First off, SlotsFighter is not going anywhere. We are still going to provide excellent content such as the tournament, Gamblethon and solo streams. As an addition to our portfolio, we will be focusing on slots, video reviews, and casino battles. As a part of the AskGamblers family, SlotsFighter brings quality video content to the table for viewers. The partnership will allow for a broader range of material, as well as more regular articles and videos. What can you expect on the SlotsFighter website? More content! While AskGamblers focuses on the casinos, SlotsFighter is all about slots. We will be taking a look at slot classics, doing video reviews and giving the best possible information for slots fans. With the focus set on slots, we’re ready to deliver the best content available on the Internet. SlotsFighter now not only brings the fight on Twitch but on the web as well! Of course, as we announced on Monday, there’s an exciting new feature coming to the SlotsFighter roster. The casino battles will feature two players, each representing a casino brand, duking it out in several disciplines, all selected by a random wheel or by the viewers themselves. With 10-minute rounds, a new ruleset and high-stakes action, it’s going to be a blast to watch. Want to catch the first one? Not a problem, check in on Monday 18:30 CET for the very first launch. We hope to see you there. Remember to throw down a follow-on YouTube as well, as there’s going to be plenty more video content coming up.